In the current occult revival, the Art of Memory is perhaps the most thoroughly neglected of all the technical methods of Renaissance esotericism. While the researches of the late Dame Frances Yates1 and, more recently, a revival of interest in the master mnemonist Giordano Bruno2 have made the Art something of a known quantity in academic circles, the same is not true in the wider community; to mention the Art of Memory in most occult circles nowadays, to say nothing of the general public, is to invite blank looks. In its day, though, the mnemonic methods of the Art held a special place among the contents of the practicing magician’s mental toolkit. The Neoplatonic philosophy which underlay the whole structure of Renaissance magic gave memory, and thus techniques of mnemonics, a crucial place in the work of inner transformation. In turn, this interpretation of memory gave rise to a new understanding of the Art, turning what had once been a purely practical way of storing useful information into a meditative discipline calling on all the powers of the will and the imagination. This article seeks to reintroduce the Art of Memory to the modern Western esoteric tradition as a practicable technique. This first part, “The Uses of Memory,” will give an overview of the nature and development of the Art’s methods, and explore some of the reasons why the Art has value for the modern esotericist. The second part, “The Garden of Memory,” will present a basic Hermetic memory system, designed along traditional lines and making use of Renaissance magical symbolism, as a basis for experimentation and practical use. It was once almost mandatory to begin a treatise on the Art of Memory with the classical legend of its invention. This habit has something to recommend it, for the story of Simonides is more than a colorful anecdote; it also offers a good introduction to the basics of the technique. The poet Simonides of Ceos, as the tale has it, was hired to recite an ode at a nobleman’s banquet. In the fashion of the time, the poet began with a few lines in praise of divinities — in this case, Castor and Pollux — before going on to the serious business of talking about his host. The host, however, objected to this diversion of the flattery, deducted half of Simonides’ fee, and told the poet he could seek the rest from the gods he had praised. Shortly thereafter, a message was brought to the poet that two young men had come to the door of the house and wished to speak to him. When Simonides went to see them, there was no one there — but in his absence the banquet hall collapsed behind him, killing the impious nobleman and all the dinner guests as well. Castor and Pollux, traditionally imaged as two young men, had indeed paid their half of the fee. Tales of this sort were a commonplace in Greek literature, but this one has an unexpected moral. When the rubble was cleared away, the victims were found to be so mangled that their own families could not identify them. Simonides, however, called to memory an image of the banqueting hall as he had last seen it, and from this was able to recall the order of the guests at the table. Pondering this, according to the legend, he proceeded to invent the first classical Art of Memory. The story is certainly apocryphal, but the key elements of the technique it describes — the use of mental images placed in ordered, often architectural settings — remained central to the whole tradition of the Art of Memory throughout its history, and provided the framework on which the Hermetic adaptation of the Art was built. In Roman schools of rhetoric, this approach to memory was refined into a precise and practical system. Students were taught to memorize the insides of large buildings according to certain rules, dividing the space into specific loci or “places” and marking every fifth and tenth locus with special signs. Facts to be remembered were converted into striking visual images and placed, one after another, in these loci; when needed, the rhetorician needed only to stroll in his imagination through the same building, noticing the images in order and recalling their meanings. At a more advanced level, images could be created for individual words or sentences, so that large passages of text could be stored in the memory in the same way. Roman rhetoricians using these methods reached dizzying levels of mnemonic skill; one famous practitioner of the Art was recorded to have sat through a day-long auction and, at its end, repeated from memory the item, purchaser and price for every sale of the day. Medieval methods of the Art differed very little from those of the classical world, but certain changes in the late Middle Ages helped lay the foundations for the Hermetic Art of Memory of the Renaissance. One of the most important of these was a change in the frameworks used for memory loci. Along with the architectural settings most often used in the classical tradition, medieval mnemonists also came to make use of the whole Ptolemaic cosmos of nested spheres as a setting for memory images. Each sphere from God at the periphery through the angelic, celestial and elemental levels down to Hell at the center thus held one or more loci for memory images. Between this system and that of the Renaissance Hermeticists there is only one significant difference, and that is a matter of interpretation, not of technique. Steeped in Neoplatonic thought, the Hermetic magicians of the Renaissance saw the universe as an image of the divine Ideas, and the individual human being as an image of the universe; they also knew Plato’s claim that all “learning” is simply the recollection of things known before birth into the realm of matter. Taken together, these ideas raised the Art of Memory to a new dignity. If the human memory could be reorganized in the image of the universe, in this view, it became a reflection of the entire realm of Ideas in their fullness — and thus the key to universal knowledge. This concept was the driving force behind the complex systems of memory created by several Renaissance Hermeticists, and above all those of Giordano Bruno. Bruno’s mnemonic systems form, to a great extent, the high-water mark of the Hermetic Art of Memory. His methods were dizzyingly complex, and involve a combination of images, ideas and alphabets which require a great deal of mnemonic skill to learn in the first place! Hermetic philosophy and the traditional images of astrological magic appear constantly in his work, linking the framework of his Art to the wider framework of the magical cosmos. The difficulty of Bruno’s technique, though, has been magnified unnecessarily by authors whose lack of personal experience with the Art has led them to mistake fairly straightforward mnemonic methods for philosophical obscurities. A central example of this is the confusion caused by Bruno’s practice of linking images to combinations of two letters. Yates’ interpretation of Brunonian memory rested largely on an identification of this with the letter-combinations of Lullism, the half-Cabalistic philosophical system of Ramon Lull (1235-1316).5 While Lullist influences certainly played a part in Bruno’s system, interpreting that system solely in Lullist terms misses the practical use of the combinations: they enable the same set of images to be used to remember ideas, words, or both at the same time. The method has a great deal more subtlety than this one example shows. Bruno’s alphabet included thirty letters, the Latin alphabet plus those Greek and Hebrew letters which have no Latin equivalents; his system thus allowed texts written in any of these alphabets to be memorized. He combined these with five vowels, and provided additional images for single letters to allow for more complex combinations. Besides the astrological images and inventors, there are also lists of objects and adjectives corresponding to this set of letter-combinations, and all these can be combined in a single memory-image to represent words of several syllables. At the same time, many of the images stand for ideas as well as sounds; thus the figure of Suah mentioned above can also represent the art of palmistry if that subject needed to be remembered. Bruno’s influence can be traced in nearly every subsequent Hermetic memory treatise, but his own methods seem to have proved too demanding for most magi. Masonic records suggest that his mnemonics, passed on by his student Alexander Dicson, may have been taught in Scots Masonic lodges in the sixteenth century;7 more common, though, were methods like the one diagrammed by the Hermetic encyclopedist Robert Fludd in his History of the Macrocosm and Microcosm. This was a fairly straightforward adaptation of the late Medieval method, using the spheres of the heavens as loci, although Fludd nonetheless classified it along with prophecy, geomancy and astrology as a “microcosmic art” of human self-knowledge.8 Both this approach to the Art and this classification of it remained standard in esoteric circles until the triumph of Cartesian mechanism in the late seventeenth century sent the Hermetic tradition underground and the Art of Memory into oblivion. This profusion of techniques begs two questions, which have to be answered if the Art of Memory is to be restored to a place in the Western esoteric tradition. First of all, are the methods of the Art actually superior to rote memorization as a way of storing information in the human memory? Put more plainly, does the Art of Memory work? It’s fair to point out that this has been a subject of dispute since ancient times. Still, then as now, those who dispute the Art’s effectiveness are generally those who have never tried it. In point of fact, the Art does work; it allows information to be memorized and recalled more reliably, and in far greater quantity, than rote-methods do. There are good reasons, founded in the nature of memory, why this should be so. The human mind recalls images more easily than ideas, and images charged with emotion more easily still; one’s most intense memories, for example, are rarely abstract ideas. It uses chains of association, rather than logical order, to connect one memory with another; simple mnemonic tricks like the loop of string tied around a finger rely on this. It habitually follows rhythms and repetitive formulae; it’s for this reason that poetry is often far easier to remember than prose. The Art of Memory uses all three of these factors systematically. It constructs vivid, arresting images as anchors for chains of association, and places these in the ordered and repetitive context of an imagined building or symbolic structure in which each image and each locus leads on automatically to the next. The result, given training and practice, is a memory which works in harmony with its own innate strengths to make the most of its potential. The fact that something can be done, however, does not by itself prove that it should be done. In a time when digital data storage bids fair to render print media obsolete, in particular, questions of how best to memorize information might well seem as relevant as the choice between different ways of making clay tablets for writing. Certainly some methods of doing this once-vital chore are better than others; so what? This way of thinking leads to the second question a revival of the Art of Memory must face: what is the value of this sort of technique? This question is particularly forceful in our present culture because that culture, and its technology, have consistently tended to neglect innate human capacities and replace them where possible with mechanical equivalents. It would not be going too far to see the whole body of modern Western technology as a system of prosthetics. In this system, print and digital media serve as a prosthetic memory, doing much of the work once done in older societies by the trained minds of mnemonists. It needs to be recognized, too, that these media can handle volumes of information which dwarf the capacity of the human mind; no conceivable Art of Memory can hold as much information as a medium-sized public library. The practical value of these ways of storing knowledge, like that of much of our prosthetic technology, is real. At the same time, there is another side to the matter, a side specially relevant to the Hermetic tradition. Any technique has effects on those who use it, and those effects need not be positive ones. Reliance on prosthetics tends to weaken natural abilities; one who uses a car to travel anywhere more than two blocks away will come to find even modest walks difficult. The same is equally true of the capacities of the mind. In Islamic countries, for example, it’s not at all uncommon to find people who have memorized the entire Quran for devotional purposes. Leave aside, for the moment, questions of value; how many people in the modern West would be capable of doing the equivalent? One goal of the Hermetic tradition, by contrast, is to maximize human capacities, as tools for the inner transformations sought by the Hermeticist. Many of the elementary practices of that tradition — and the same is true of esoteric systems worldwide — might best be seen as a kind of mental calisthenics, intended to stretch minds grown stiff from disuse. This quest to expand the powers of the self stands in opposition to the prosthetic culture of the modern West, which has consistently tended to transfer power from the self to the exterior world. The difference between these two viewpoints has a wide range of implications — philosophical, religious, and (not the least) political — but the place of the Art of Memory can be found among them. From what might be called the prosthetic standpoint, the Art is obsolete because it is less efficient than external data-storage methods such as books, and distasteful because it requires the slow development of inner abilities rather than the purchase of a piece of machinery. 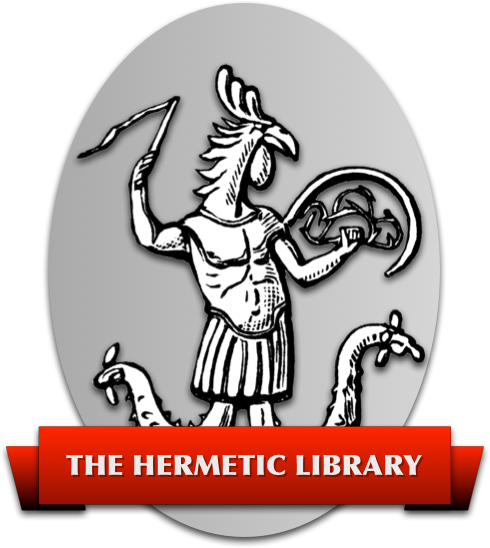 From a Hermetic standpoint, on the other hand, the Art is valuable in the first place as a means of developing one of the capacities of the self, the memory, and in the second place because it uses other capacities — attention, imagination, mental imagery — which have a large role in other aspects of Hermetic practice. Like other methods of self-development, the Art of Memory also brings about changes in the nature of the capacity it shapes, not merely in that capacity’s efficiency or volume; its effects are qualitative as well as quantitative — another issue not well addressed by the prosthetic approach. Ordinarily, memory tends to be more or less opaque to consciousness. A misplaced memory vanishes from sight, and any amount of random fishing around may be needed before an associative chain leading to it can be brought up from the depths. In a memory trained by the methods of the Art, by contrast, the chains of association are always in place, and anything memorized by the Art can thus be found as soon as needed. Equally, it’s much easier for the mnemonist to determine what exactly he or she does and does not know, to make connections between different points of knowledge, or to generalize from a set of specific memories; what is stored through the Art of Memory can be reviewed at will. Despite our culture’s distaste for memorization, and for the development of the mind generally, the Art of Memory thus has some claim to practical value, even beyond its uses as a method of esoteric training. In the second part of this article, “The Garden of Memory,” some of these potentials will be explored through the exposition of an introductory memory system based on the traditional principles of the Art. 1. Yates, Frances A., The Art Of Memory (Chicago: U. Chicago Press, 1966) remains the standard English-language work on the tradition. 2. Bruno, Giordano, On the Composition of Images, Signs and Ideas (NY: Willis, Locker & Owens, 1991), and Culianu, Ioan, Eros and Magic in the Renaissance (Chicago: U. Chicago Press, 1987) are examples. 3. The brief history of the Art given here is drawn from Yates, op. cit. 4. For Bruno, see Yates, op. cit., ch. 9, 11, 13-14, as well as her Giordano Bruno and the Hermetic Tradition (Chicago: U. Chicago Press, 1964). 5. See Yates, Art of Memory, Ch. 8. 7. Stevenson, David, The Origins of Freemasonry: Scotland’s Century (Cambridge: Cambridge U.P., 1988), p. 95. 8. See Yates, Art of Memory, Ch. 15.